Are you looking for a medical billing firm that can manage your revenue cycle using your current eClinicalWorks medical billing software? We help healthcare providers overcome challenges associated with maintaining efficient and effective revenue cycle management. At 5 Star Billing Services, we integrate our billing expertise with your current EHR and billing software in order to maximize claims payments as well as maximize efficiency and effectiveness in your revenue cycle. Give your office staff more freedom to focus on running an efficient practice and offer the best quality care to your patients. Our billing experts are proficient in eClinicalWorks billing software. This allows us to offer exceptional, comprehensive billing services without the need for you to change your current in-house billing software. Let our billing experts manage your revenue cycle and free your staff of the burden of complicated billing regulations and coding challenges. Our medical billing and coding experts are thoroughly trained in and always up-to-date with constantly changing billing regulations and documentation practices. As an integral part of your practice, billing and coding experts at 5 Star Billing process claims through your currently operating eClinicalWorks billing software. 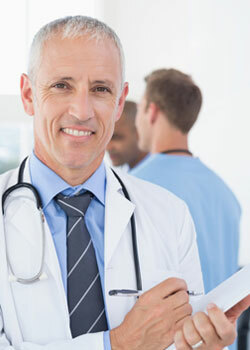 It is possible to hire billing experts to manage your practice’s accounts receivable and continue enjoying all of the outstanding features of eClinicalWorks billing services. By contracting a professional medical billing firm, you no longer need to account for operational costs associated with in-house billing tasks, such as hiring additional staff members and utilizing extra office space and resources. Contact us today online or call us at 480-821-1371 to learn more about how our medical billing experts can maximize your revenue using eClinicalWorks medical billing and EMR/EHR.